Glaciers helped form the Southern Alps, and gouged valleys and basins between mountains. 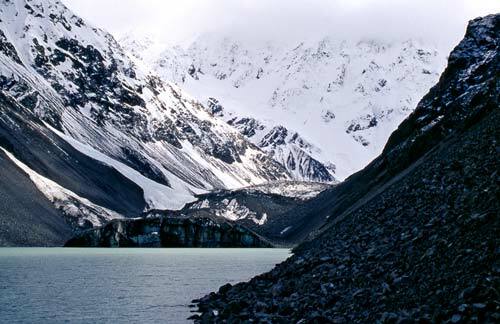 There are glaciers at the head of the Waimakariri, Rakaia and Rangitātā rivers. The Ramsay glacier is at the head of the Rakaia River.